According to the National Science Foundation, only 35% of 8th graders met nationally established academic standards for math in 2011. For science, only 32% of these students were able to work at or above grade level in the same time period. There are many factors that contribute to that number. However, student interest is a common barrier to STEM education. 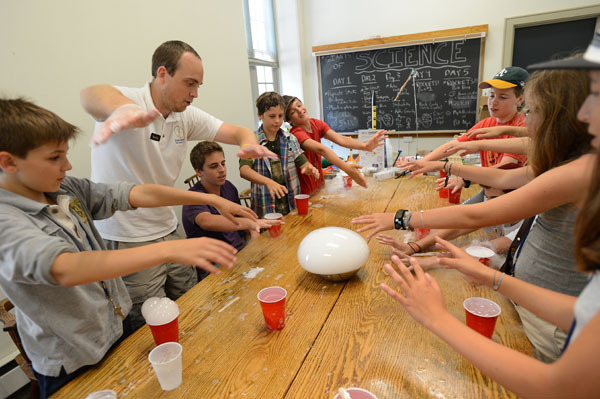 Science summer camps for middle school students help parents instill a love of science and technology that leads to long-term success in STEM careers. STEM summer camps are designed to teach science, technology, engineering, and mathematics to students of all ages in a fun and engaging way. The students learn basic STEM skills while making new friends and improving social skills.